That picture was first published in Mopar Collectors Guide quite a few years ago....I believe the guy's name is Wayne Wooten, he started a Dodge Charger registry online. He contacted Warner Brother's regarding pieces and parts that they might have had kicking around, after some back and forth discussion, he was invited down to the studio (backlot?) where there was a huge pile of parts leftover, he almost loaded a complete trailer with plans to sell what he could to anyone who needed them. The studio invited him to stay and check out how they filmed a tv show, so off they went for a drive.....into the country, Hazzard actually! Pulled up to Cooter's Garage where there were a number of General's as well as cop cars. I think the number was 13 or 15 cars that he found buyers for with a stipulation that any car sold will not be shown for profit. 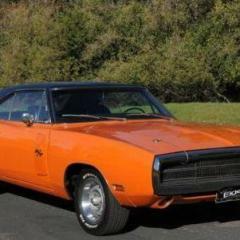 I seen one down in Renton at a Mopar show many years ago, only one west of the Mississippi as I was told! Same magazine did another article on the crew who built all the cars for the show when it was filmed in California, lots of behind the scene pics with row after row of Chargers and cop cars, and stories of day to day stuff happening in and around the shop. (Like when John Scheinder would come and hang out down there, join the other guys in doing smoke shows with 440 powered cop cars....lights and sirens going!!! The local police did not find it as amusing....LOL!!). The studio used to send car transporters like the one above into different areas of the city, and had guys driving up and down streets and alleys looking for more cars to buy when the show was in full swing. 2005ish(? )......MCG published an article that spanned over three issues, about the remake movie complete with info about every car used in that show, whether it was a close up car, stunt, or buck for doing interior shots. As well as interviews with stunt crew, a very cool read! All of this is from memory.....so kinda fuzzy.....but I don't have the exact issues to reference. Walked out of the apartment this morning to hear a truck idling on the street, as I got closer.....guess who!!! First time ever meeting the man himself, very approachable and easy to chat with, but busy.....made the comment how "Even I have to work for a living!". Not chasing wrecks up on the highway, doing a lot of highway towing, Colin was down in California, then heading to Moose Jaw for another job...Jamie was staying busy and working on fixing Mighty Mo. Not sure how old that picture is with all of Don's trucks, he does have a Western Star tri-dem rotator that is not in there, seen it in action a few times around the Loops, and also once at the Hot Nite in the City car show....heard through the grapevine that if they need to use it for a normal tow job (tractor/trailer), that they have to send a tandem to bring it across the scales because it is a wee bit heavy using the tridem!! The burgundy '56 on the flat deck belongs to a co-worker, the car is un-freakin real!!! He has owned the car for 30 plus years, big block 454, 8-71 blower, tilt front end, Foose rims.....it is worthy of ANY magazine cover for the bowtie fans, but was built for his personal enjoyment only! He has never entered it in a car show and no plans to do so, used only for summer.....when the sun is shining, heck, if there is water from some ones lawn on the road.....he will go around the block! The under carriage is just as nice as the top with lots of powder coat and chrome! *Speaking of Bruce...back when I was working for VSA, I came down the hill to the truck stop in Merritt for a fresh cup of coffee, when I seen this old guy at the till. I recognized him, but could not figure out from where.....I was racking my brain thinking of different guys who I worked with, different companies....still nothing. It wasn't until I was heading back up the hill that it dawned on me it was BRUCE.....lol, I could have got an autograph, a picture, or even a grumpy "go away"......but missed my chance! That was off the old AMT Turnpiker kit.....custom Pete cabover, I have one from a long gone model, in a box.....somewhere!!! Well last nites episode was interesting! Funny how Al can go buy a brand new wrecker for Gord...all $600,00 of it, and yet Jamie dumps all his good stuff for junk..well that and a fleet of new 'Yotas!! I remember one episode of Al saying how much money Jamie spent on that rotator....when he need something like that, he just hires a crane to do the same thing...one less piece of equipment to pay for and deal with as far as repairs go! Maybe the next new season will be more Al and Gord and less of JD towing??? They did show Colin in the Pete...talking about how this truck will get the job done?!! Guess I will wait till next week to see what happens! I am really hoping for a '68/69/70 Chev Camaro.....or a '32 Ford street rod....maybe a '57 Chev! I cannot seem to find one on the shelf at my local hobby shop!! '75-ish Plymouth Fury engine color? Years ago I owned a 1968 Dodge Coronet 440 with a 225 Slant 6, engine was red from the factory....after doing a complete K-frame/suspension swap from a parts car '69 Coronet, I dropped in the 318 which was also painted red...so I would have to agree that '68-'69 would probably be the last year that the factory painted them that color! Fireball Modelworks has exactly what you need! The vents were only available for one year and one model, the 1971 "Cuda, all other models of that year had just a plain fender with no gills. 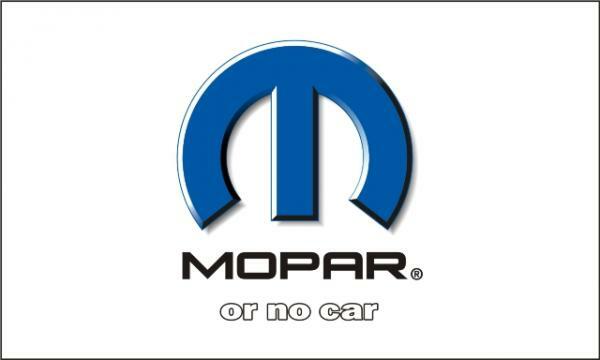 I am a die hard MOPAR guy, and am glad to see a show dedicated to those cars after watching so many other ones building up Mustangs and Camaros all the time! The way he acts on tv can be annoying to watch, but I have had a couple friends meet him in real life, they said he is a great guy and very helpful...what you see on tv is not what he is actually like! I would love to go down and see the shop in person...that yard of cars is drool worthy!! 1970 'Cuda rear window louvers in kits? I thought I seen an article in another model magazine where they used the louvers from the '71 on a build of the new '70? I am thinking it was Tim Boyd, but I could be wrong....two "Cudas were built....copper and a yellow one.